As we discovered in 7 Signs You May Be a Bad Manager, bosses aren’t usually aware that they are bad bosses. The fact is that nobody wants to believe they’re the problem. Nevertheless, there’s a bell curve for all things involving people, which means there are few really bad bosses, few really good bosses, and most of you fall somewhere in the middle. To me that says, for the vast majority of you, there’s lots of room for improvement. So, if you’re not exhibiting any of the 7 Signs, that’s great, pat yourself on the back. Still, if you really want to up your management game, maybe even vault into the executive or ownership ranks someday, you’d better start doing at least a few of these 10 Things That Good Bosses Do. Incidentally, this isn’t from some academic study. These are real attributes of real bosses, culled from decades of observation, which motivate and inspire employees to perform at their best. 1. Pay people what they’re worth, not what you can get away with. What you lose in expense you gain back several-fold in performance. 2. Take the time to share your experiences and insights. Labels like mentor and coach are overused. Let’s be specific here. Employees learn from those generous enough to share their experiences and insights. They don’t need a best friend or a shoulder to cry on. 3. Tell it to employees straight, even when it’s bad news. To me, the single most important thing any boss can do is to man up and tell it to people straight. No BS, no sugarcoating, especially when it’s bad news or corrective feedback. 4. Manage up … effectively. Good bosses keep management off employee’s backs. Most people don’t get this, but the most important aspect of that is giving management what they need to do their jobs. That’s what keeps management away. 5. Take the heat and share the praise. It takes courage to take the heat and humility to share the praise. That comes naturally to great bosses; the rest of us have to pick it up as we go. 6. Delegate responsibility, not tasks. Every boss delegates, but the crappy ones think that means dumping tasks they hate on workers, i.e. s**t rolls downhill. Good bosses delegate responsibility and hold people accountable. That’s fulfilling and fosters professional growth. 7. Encourage employees to hone their natural abilities and challenge them to overcome their issues. That’s called getting people to perform at their best. 8. Build team spirit. As we learned before, great groups outperform great individuals. And great leaders build great teams. 9. Treat employees the way they deserve to be treated. You always hear people say they deserve respect and to be treated as equals. 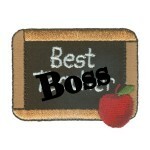 Well, some may not want to hear this, but a) respect must be earned, and b) most workers are not their boss’s equals. 10. Inspire your people. All the above motivate people, but few bosses have the ability to truly inspire their employees. How? By sharing their passion for the business. By knowing just what to say and do at just the right time to take the edge off or turn a tough situation around. Genuine anecdotes help a lot. So does a good sense of humor.